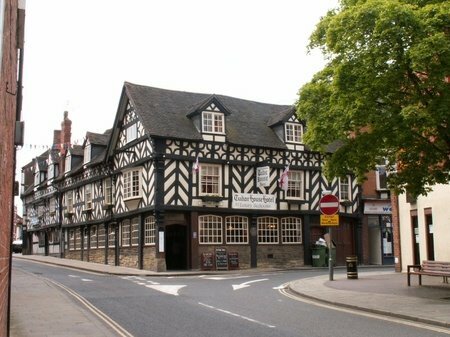 We’ve spent the last few days researching, gathering information for, and setting our new Market Drayton cache: Market Drayton – Plaque Attack. The main challenge was to find a nice location in the town that was not too far from the centre and could hold a reasonable sized cache as we don’t like settings micros. This proved harder than we though and after several hours of looking at various possibilities, settled on the one location. We then had to get the co-ordinates and plaque details for all locations on the walking tour and put it all together in a cache page. Multi caches like this always take an age to set as there is so many things to get right and lots of double checking of everything to do. Finally, mid-morning today, all was ready to go so we submitted the cache for review. It’s not been published yet, but hopefully will be later today. Then we have the fun of looking at the Audit Trail logs to try and guess who might be FTF.